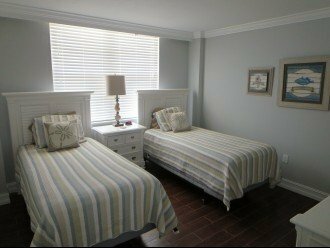 Comfortable King Size bed in Master Bedroom with 32" LCD TV & extra pillows! 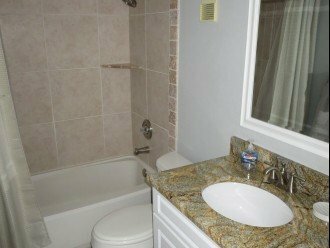 Both bedrooms have 32" wall mounted LCD TV's crown molding and tile floors. 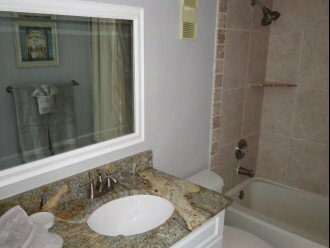 Updated bath for 2nd bedroom and guests. 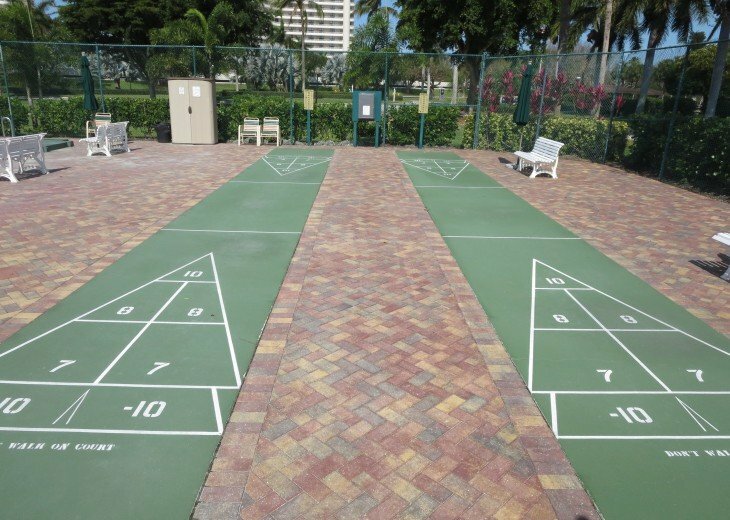 9 Tennis Courts, 4 Pickle Ball Courts, Putt Putt, Bocce Ball & Shuffle Board. We have (64) - 5 ***** Star Reviews on VRBO #590504. 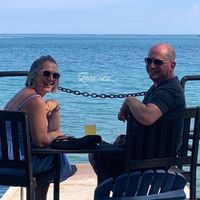 Please check out what our guests have said. 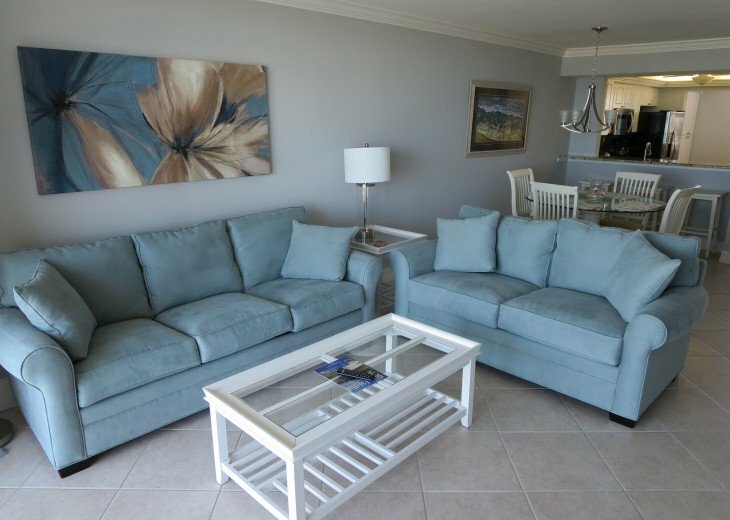 Relax in our Beautiful Beach Front Condo on the 11th floor overlooking the Gulf of Mexico, Tiger Tail Beach, and a picturesque, peaceful thirty-one acre natural preserve. A shorebird nesting area off to one side. Enjoy Beautiful sunsets and watch the waves overlooking the Gulf of Mexico from your Living Room, Master Bedroom and Balcony every night. 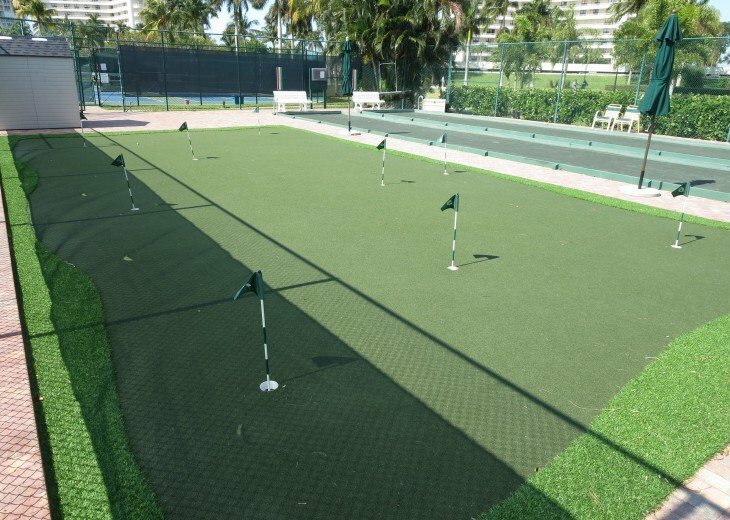 Our Pristine Condo at the South Seas Club which is a gated community is surrounded by beautiful palm trees and lush landscaping. Accommodations include Private HI Speed Fiber Optic WI-FI, King-size bed in Master with a 32' wall mounted High Definition flat screen TV. 2nd bedroom has 2 double beds (that can be pushed together to make King Bed) with 32' wall mounted flat screen TV. 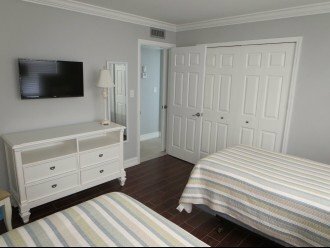 Queen sized sleeper sofa in living room with 55' wall mounted High Definition flat screen TV with DVD Player and Bose Sound system, tiled floors throughout (No Carpet). Kitchen has granite counters with breakfast bar, 3 bar stools, SS Appliances, cooking utensils and complete furnishings including Keurig and regular coffee makers, toaster and blender. Both bathrooms include Hair Dryers. We include 6 Beach Chairs, Beach Towels, several Beach Coolers, Umbrellas and Beach Buggy to cart these items to the Pool or Beach. 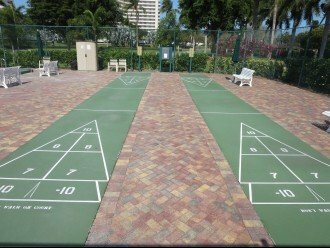 Enjoy the amenities at South Seas Club including a heated pool, tennis, Pickle Ball, bocce ball, shuffleboard, Putt Putt, exercise room, covered parking and laundry facilities. 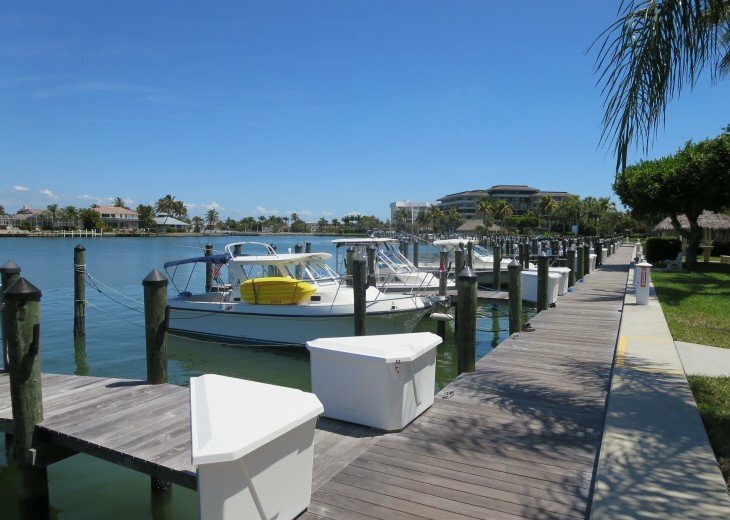 Boat docks are also available for additional fee. 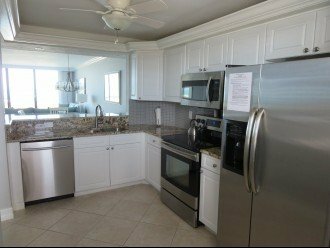 Walkout to the large heated pool or the private beach access. 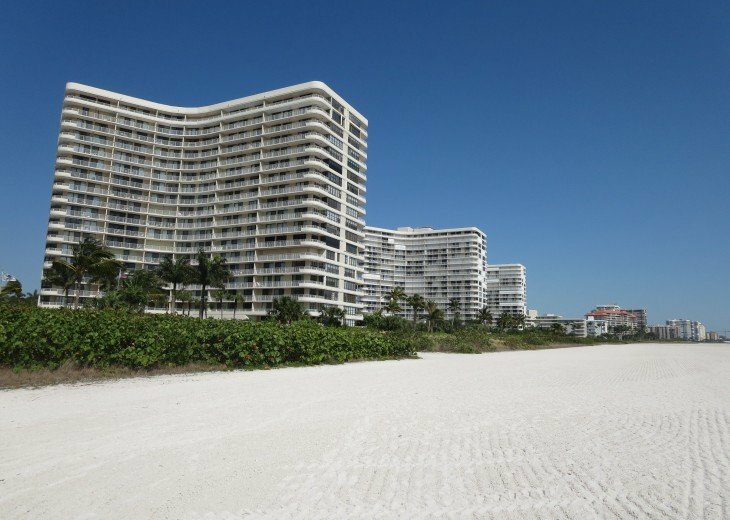 Marco Islands white sand Crescent Beach stretches for 3 miles south or Tigertail Beach which offers a picnic area with grills. 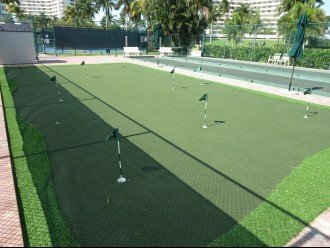 There is a concession that rents inner tubes, canoes, kayaks, paddle-boats, windsurfers, and electric-powered boats, which can be used to explore a tropical lagoon. 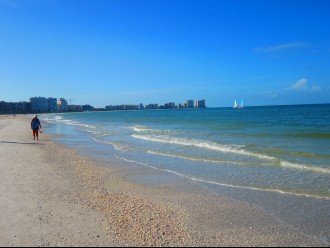 Shelling on Tigertail Beach is the some of best that you will find. 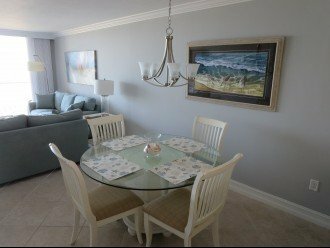 This totally updated two bedroom condo offers you an upscale vacation experience that you will not forget. 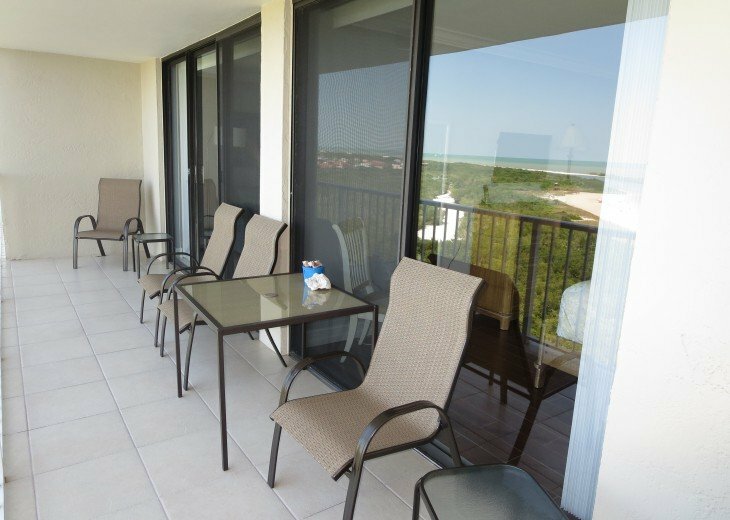 Kick back on your balcony and enjoy your morning coffee or a cool drink while listening to the sound of the waves, taking in the beautiful views shown and enjoying amazing sunsets every evening. Please Check to verify your days are available before booking. We have had 2 guests book the same dates on the same day. 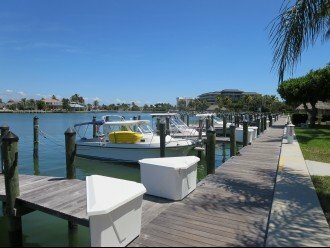 Marco Island was rated the safest place in Florida in 2018 and the South Seas Club is Marco Islands only Gated community with beach and boating access. 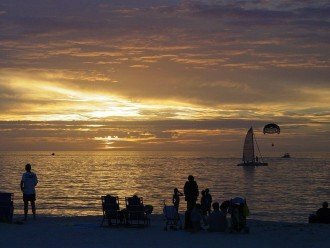 Enjoy the many nearby activities including fishing, shelling, golfing, shopping, Scuba diving, snorkeling, para sailing, jet skiing, kayaking, everglade tours, golf, Scooter and bicycle rental on Island. Naples Zoo, Dinner theaters, casual and fine dining overlooking the water. 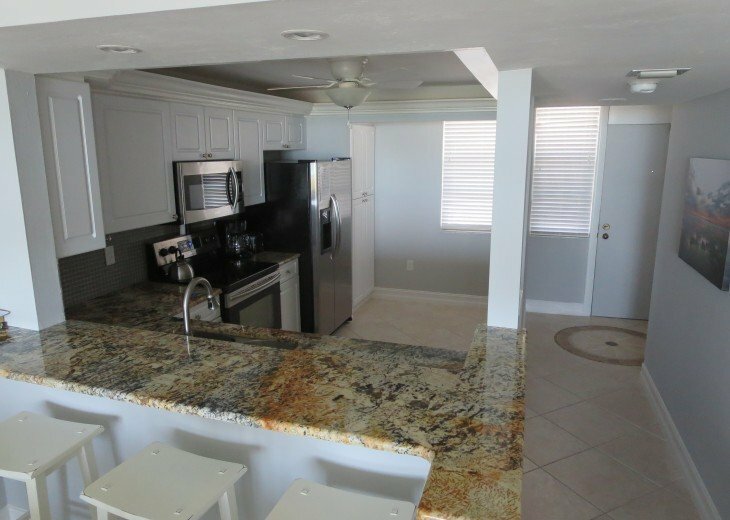 Our condo is totally updated, clean, has a well stocked kitchen and most everything you need to have wonderful vacation. 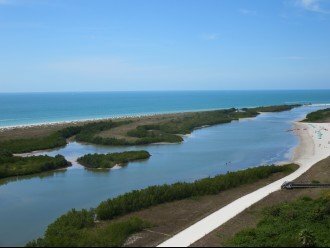 You can see and are steps away from paddle boarding and Kayaking in the smooth waters of the Tiger Tail lagoon (great for adults and small children). 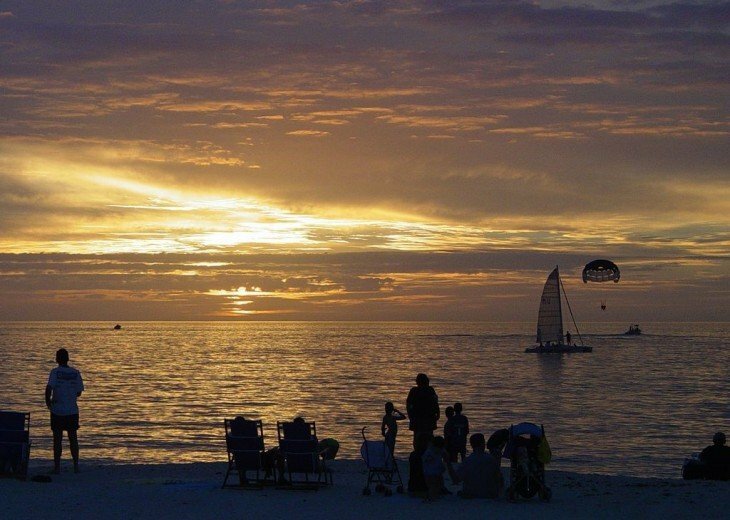 This is one of the best shelling areas on Marco Island. The grounds are Beautiful, well kept and gated. If you do not belong here you will not get past the guarded entrance. Changeover day is Saturday in January through April. 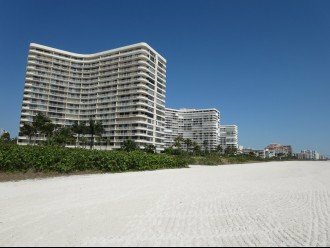 About the owner: Midwestern owners Love the Beautiful white sandy Beaches, sunsets on the Balcony, all the great places to dine, the amenities at the South Seas Club and all the activities on Marco Island. Why this property? This unit faces Tiger Tail Beach with a look all the way down the gulf, and also faces the Nature Preserve, Wildlife area and Lagoon offering many viewing opportunities watching birds, fish, wildlife, boats and people. 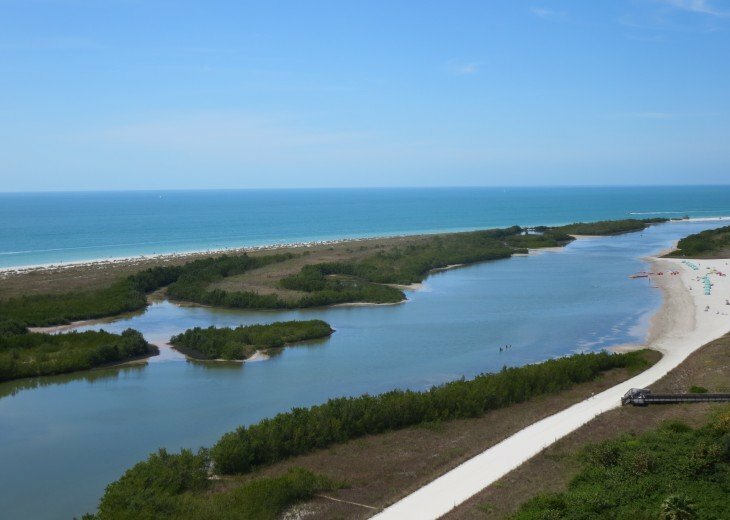 It does NOT face any other buildings so you overlook the gulf and greenery of the reserve. It is peaceful and serine. 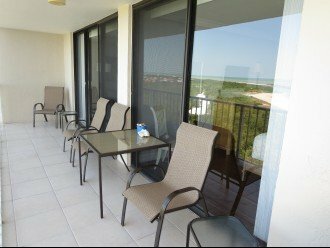 It also faces North West so you can sit and enjoy the views from the balcony and Gulf breezes throughout the day. Its a great place to read a good book, or relax in the shade throughout most of the day without being blasted by the sun. 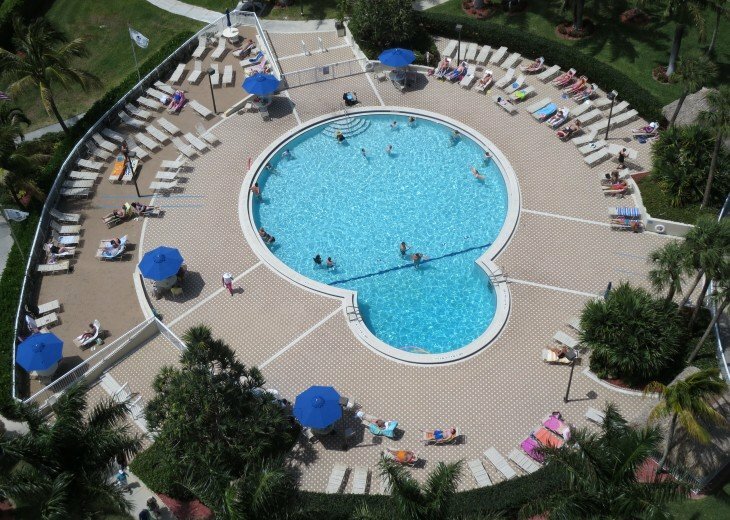 It has a Great beach and pool for the sun. 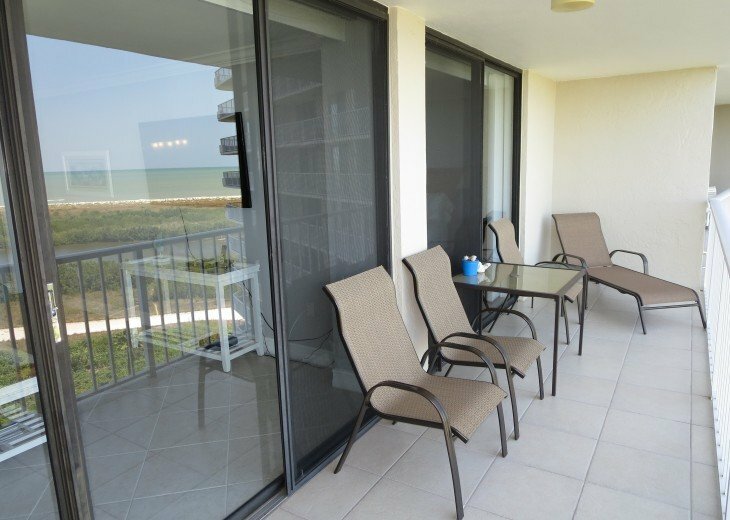 It is relaxing and more private to sit on the balcony and NOT have hundreds of people looking at us from other condos. We LOVE this about the condo. We’ve been to Ron’s condo four time over the past four years. It’s always a pleasure coming back and even feels like coming home by now. The condo is beautiful and has everything you’ll need to have a wonderful vacation, including loads of kitchen appliances and beach equipment. 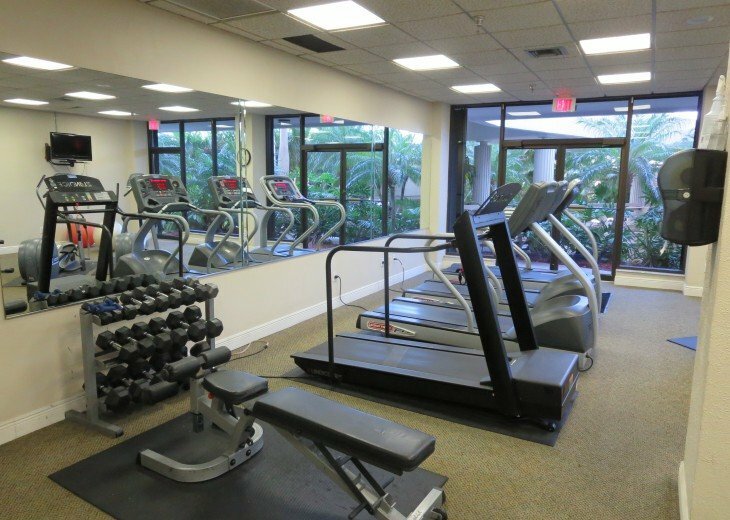 It is in great shape and constantly updated and well maintained. Tiger Tail beach is gorgeous, it never feels crowded and you can spot the occasional dolphin from time to time. 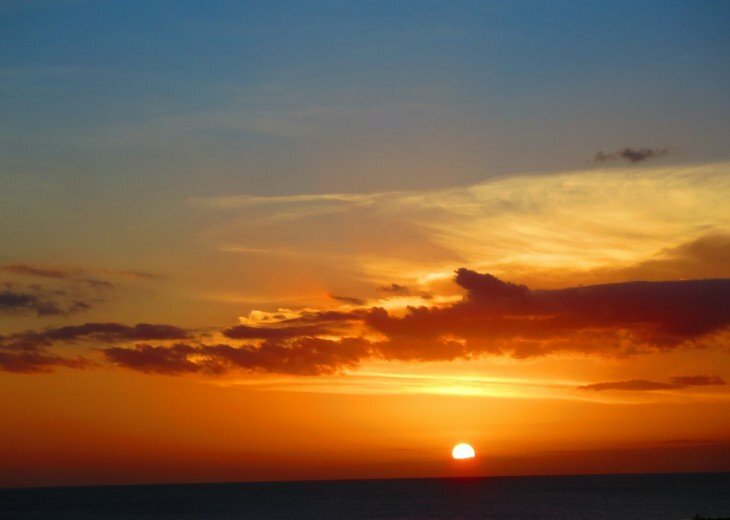 It also offers the most beautiful sunsets which can also be enjoyed with a nice glass of wine on the balcony. Ron is a wonderful host, he checks in regularly to ensure everything is fine and you’re having a good time. We can’t wait to come back! Another wonderful trip at Ron’s condo! Another fabulous trip! 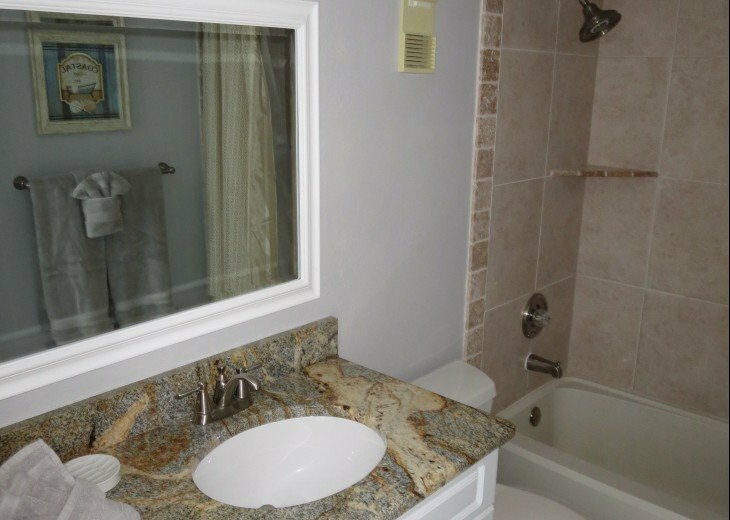 We’ve stayed in this condo twice now simply because it is a beautiful unit, beautiful view and absolutely everything is taken care of. Ron always checks in on us and ensures we’re having the best trip possible. 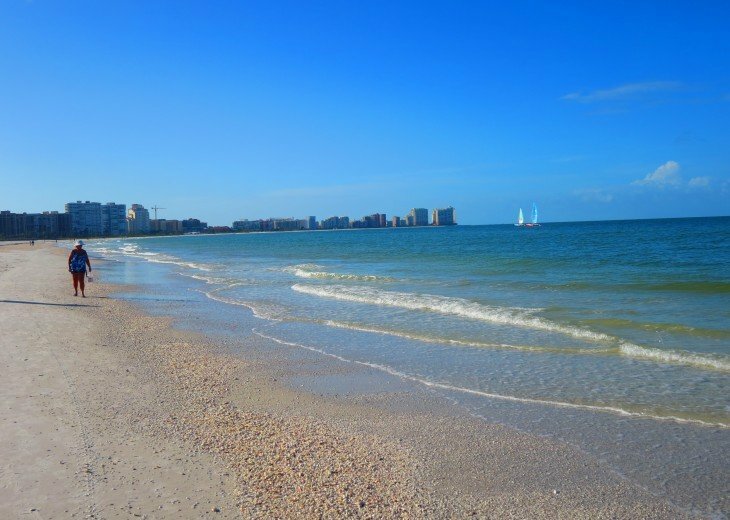 The view of Tigertail beach is priceless! 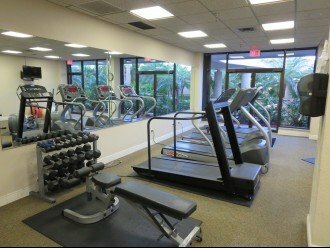 And the condo is always in fantastic shape. Highly recommend.